Find speakers, comedians, magicians, and entertainers for your next non-profit organization event. Each of these presenters have recent experience at fundraisers and meetings for not-for-profit groups across the United States and Canada. Motivational, inspirational, and funny presentation. Professional comedian and business leader Larry Weaver uses clean humor, funny anecdotes, and emotionally charged stories to illustrate the importance of creativity, attitude, and motivation. These topics are crucial to success in any venture, whether your focus is leadership, teamwork, customer service, sales, change, safety or just reducing stress. The presentation combines stand-up comedy with content – seamlessly intertwined. Attendees will learn to 1) improve attitude, 2) maintain motivation, and 3) spark creativity. 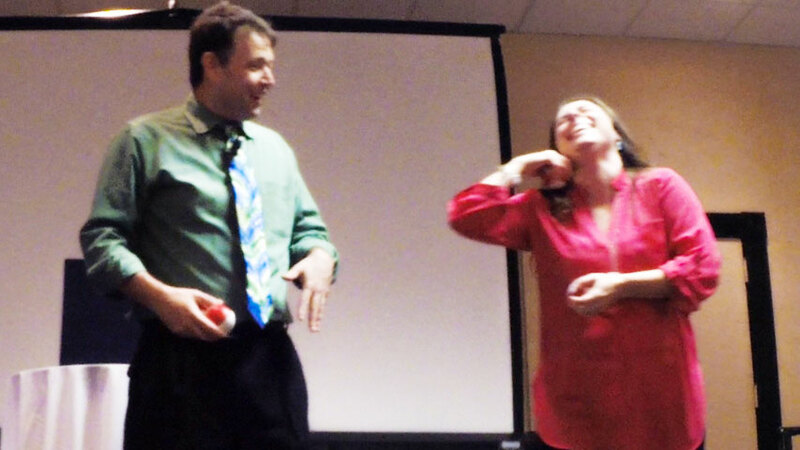 Your audience will laugh, learn, and leave feeling refreshed. The Magic of Communication is engaging, intriguing and fun! 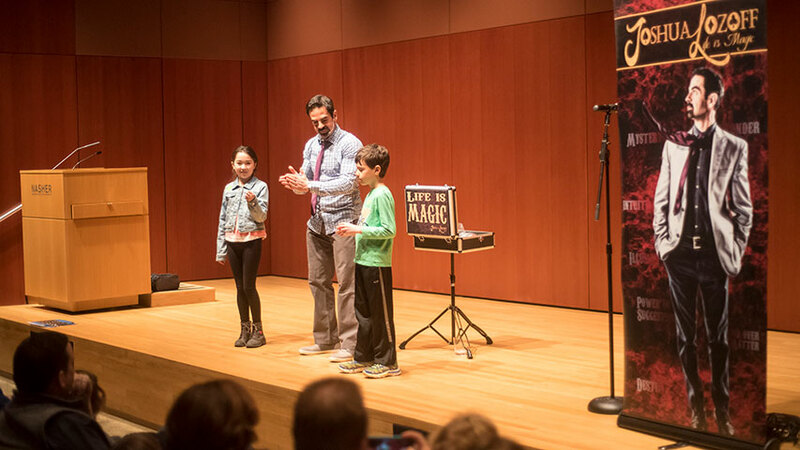 In this interactive presentation, acclaimed magician and actor Joshua Lozoff pulls back the curtain to reveal the true secrets of his magic: powerful communication skills and strong powers of observation; skills useful for us all, from the board room to the living room. Increase Productivity By Nipping Distractions In The Bud! Imagine your attendees surprised by America’s Favorite Deputy Barney Fife blowing a whistle as he enters the conference room. Next, he pulls out a few “citations” that he has written up on members of your group. The group belly laughs as the “harmless offenses” are revealed. Once the group is engaged, Rik steps out of character and delivers a speech about 1) Increasing productivity by eliminating distractions, 2) Managing time more effectively, and 3) Setting clearer goals. Stories of farming and farm life tailored for agricultural events. You'll enjoy tales of feeding hogs, raising crops, and keeping the farm equipment together with duct tape, bailing wire, and WD-40. Hilarious insights on work-life balance and how to take care of family while taking care of business. Perfect for all groups and especially when guests/spouses are in the audience. 100% clean stand-up comedy performance that is highly professional, culturally sensitive and hilariously funny. As heard on SIRIUS XM Blue Collar Radio and Laugh USA, Larry's humor includes tales of growing up in the country, home remedies, family gatherings, marriage, traveling, trying to eat right, and more. Down-home comedy delivered in a fast-paced, high-energy style. From stories about his grandma to his grandkids, Jerry's relatable topics crack up the most hard-to-please crowds. Armed with a Master of Education degree, a background in the United States Army, and impeccable style, it might surprise you when Mike hits the stage and delivers non-stop laughter. He's seriously funny. "Joshua Lozoff is a fantastic entertainer. And not just the magic! He is so endearing to any audience member, both up close and on stage. All of our attendees were simply captivated and raved about his performance. And much of the time was filled with laughter. Josh is so fun. We will absolutely bring Life Is Magic back for our event!" "Rik Roberts was great !! He spoke at our Agribusiness Dinner and was able to engage all age groups. I would highly recommend Rik!!" "David Ferrell did a great job, kept the audience involved and laughing all night. David worked around our schedule and made things easy on us. Could not have asked for better entertainment." "Paul Miller was quick to respond to cmmunications and so easy to work with when we had to make a schedule change. The audience thoroughly enjoyed his performance. He did a superb job of engaging with them and including individuals from the audience in his act." "We had Larry Weaver speak at our end of the year meeting. His presentation was received very well by our audience and the message was on target based on our request." "Tony was hilarious – he had the crowd rolling. One guest event said, "I almost peed my pants" (true statement). Tony was witty, engaging, and even tried out some new material that was a big hit. Much needed laughter for a night out!" "Dr. Charles Petty's presentation was the highlight of our conference. He combines humor with a positive message to keep the audience engaged. Even though he was only hired to perform for an hour, he spent most of the day with us, getting to know his audience prior to his performance. We would highly recommend Dr. Petty to other organizations!" "Leslie Norris Townsend was very funny! She really connected with our audience and gave them a night full of belly laughs! Her professionalism in working out the logistics and time constraints for our event was so very appreciated. A true gem!" "Larry Weaver has received rave reviews from everyone I've asked. Thank you again for everything!" "Larry Weaver was great! 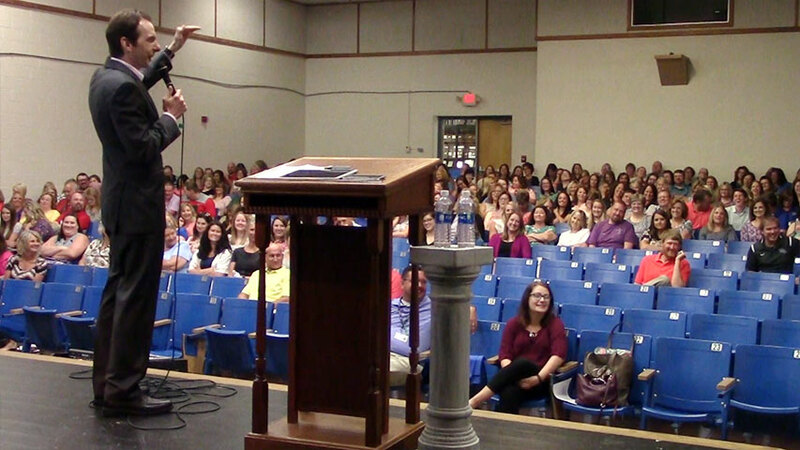 He kept our teachers engaged and had them rolling in their seats. Getting the school year started with laughter and a great message is always a plus. Larry truly motivated our teachers!" "Joshua Lozoff has the same excitement with each performance as if it is the first time he's done the trick. He really relates to the audience and looks like he's having as much fun as we are. We had some scheduling concerns with the number of guests, and he was gracious enough to do two shows so we could split the audience and give everyone a chance to see the magic." "Joshua was fantastic! We had never had a magician perform for our Club, always the same old tired band thing, so we took a bit of a risk booking Joshua. We couldn't have been happier! He set the tone for our entire "Magical Year" and we are still riding that wave months later. His show was incredible and completely engaging. Thank you!" "David Ferrell did a fantastic job. I would be happy to provide a positive reference." 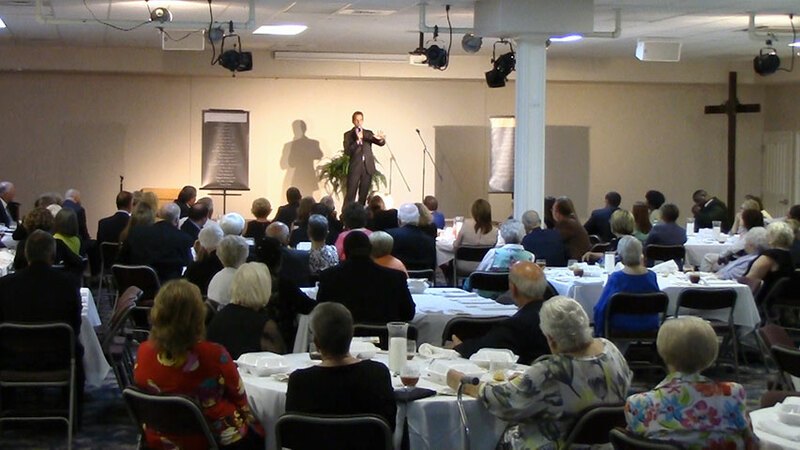 "Our 400-person conference luncheon loved Joshua! His presentation was engaging, fun, and had some great pointers for improving communication. 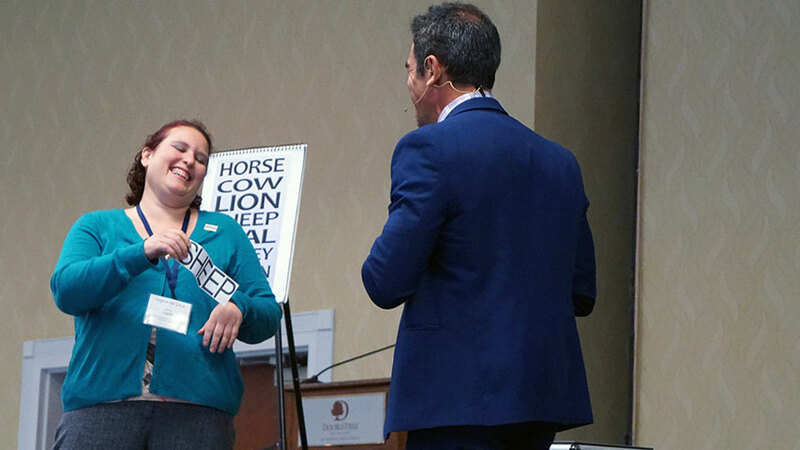 His use of audience participation was a great way to get our attendees immersed in the experience and everyone was super amazed at his ability to do what seemed impossible!" "Rik Roberts return performance was even funnier than the first time he entertained us. 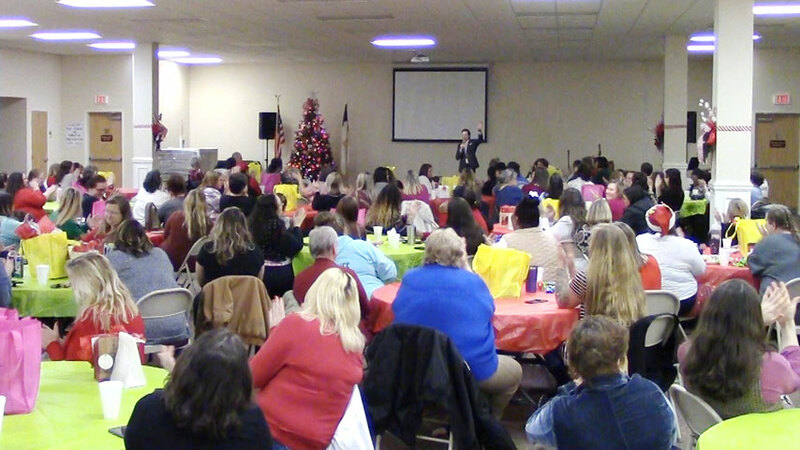 The Fairfield Glade Resident Services Comedy Night had a packed crowd and were laughing all evening. Rik’s clean comedy and presentation were outstanding. 'Barney Fife' joined the fun and his presence made for a delightful show. We would love to have Rik back again." "David Ferrell did an outstanding job at the Emmanuel College Founding Farmers Gala event! The crowd was responsive, laughed the entire show and he connected with the audience. David was easy to work with and stayed after the show to meet with the audience!" 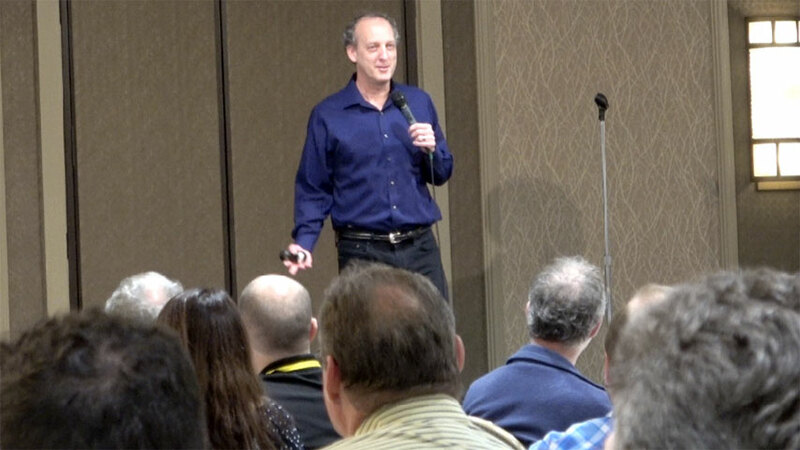 "Rik Roberts was exactly what our conference needed after two solid days of technical presentations and site tours. His "Mayberry Method" presentation had the right balance of information/strategies to combat wasteful work habits well blended with his wonderful sense of humor. Everyone had a great time with some great takeaways from his performance. He was an absolute professional and great to work with!" "Joshua Lozoff wowed the crowds but even more importantly he brought the crowds! We had our largest attendance ever for performances at our Family Day!" "Paul Miller did a great job of keeping the audience involved. All the feedback that I got was very positive." "Joshua Lozoff promised to entertain, inspire and amaze…and he didn't disappoint! From beginning to end, he was an absolute pleasure! The audience connected with his funny and charismatic personality and were absolutely in awe of his illusions and mind-bending tricks. Our guests have not stopped raving over his performance and we couldn't be happier!" 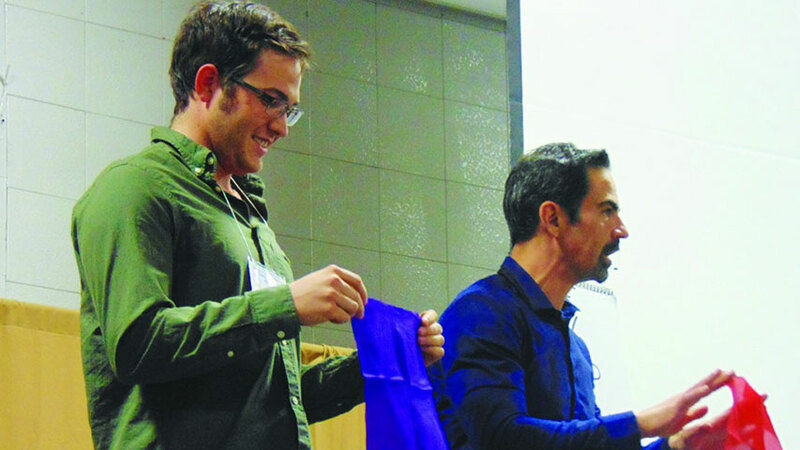 "Joshua Lozoff's program was very entertaining. We wanted something to laugh with and he gave it. Very inclusive of the audience. Surprised the audience with the program and made them laugh." "Thanks David Ferrell for the great job he did at our meeting. I had several compliments about how funny he was, and I enjoyed talking to him before the meeting. We appreciated the good job he did for us." "Jerry Carroll was beyond amazing! He fit in so well with our venue, atmosphere and guests. The event was a HUGE success. People are already asking for him to return next year!" "Tony did a great job. He had fun with the crowd, and was friendly and easy to work with." A few of the states our Non-Profit Speakers and Entertainers have recently presented in include: Alabama, Alberta, Arkansas, California, Colorado, Florida, Georgia, Illinois, Indiana, Iowa, Kansas, Kentucky, Louisiana, Maine, Maryland, Massachusetts, Michigan, Minnesota, Montana, New Mexico, New York, North Carolina, Ohio, Oklahoma, Ontario, Pennsylvania, South Carolina, Tennessee, Texas, Virginia, Wisconsin, Wyoming, and others.